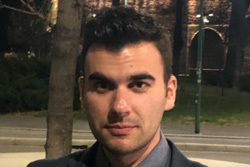 Evangelos is a graduate of the Department of Mediterranean Studies of the University of the Aegean, in the direction of International Relations. 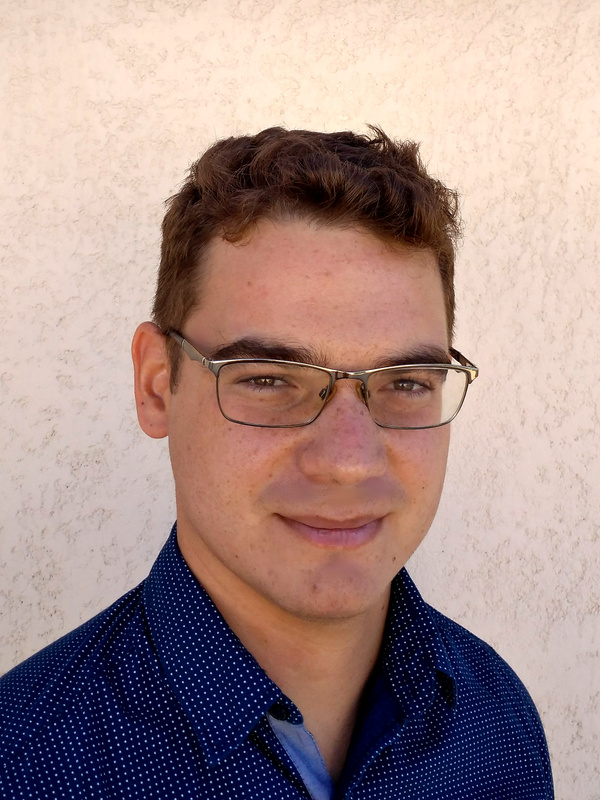 Currently he is a postgraduate student at the Mediterranean Studies postgraduate program at the University of Peloponnese in Corinth. He held a practical training at the Megara Land Registry, at the Western Attica Region and at the Ministry of Foreign Affairs. He has attended several courses related to the subject of his studies and has participated in the MRC Rhodes simulation and Mare Nostrum (as a volunteer and as a rapporteur). He knows quite well English, as well as he has basic knowledge of Arabic language. His research interests include issues of the Greater Middle East, of the Mediterranean, Geostrategy, Crisis Management and International Organizations. 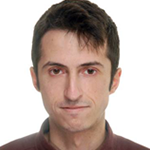 Lazaros Galanomatis has graduated from the Department of Sociology of the University of the Aegean. He is a master student of a European Studies program, in the module of EU’s External Relations at KU Leuven. He is currently an intern in the European Parliament. Among his research interests are issues of International Relations, Diplomacy, Security and Defense. Giovanni Giacalone is an Italian sociologist and islamologist. Raised between Texas and northern Italy, he holds an MA in Islamic Studies at Trinity Saint David University of Wales with a thesis on the development of Islamic communities in Italy. Further specialization abroad in counter-terrorism. Bachelor degree in Sociology from the University of Bologna. His research interests and activities are focused on three areas: the study of Islamism in Italy, the analysis of Islamic radicalism in the Balkans and in the northern Caucasus, the phenomenon of street gangs in Italy, UK and the US. His expertise fields are profiling, networking and the study of radicalization process. 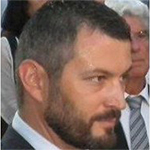 He is currently an analyst for the Italian Team for Security, Terroristic Issues and Managing Emergencies (Itstime) of Università Cattolica di Milano and he writes for “Il Giornale” and “Gli Occhi della Guerra”. He has recently introduced the concept of “Balkanic Spiral” (Spirale Balcanica) in order to describe the progressive jihadist escalation in the Balkans, identifying and analyzing the different phases from the mid-90s to nowadays. A concept that he exposes in his book “La Spirale Balcanica”, published in 2016. Among his other publications there are: “I pericoli di una Spirale Balcanica” in “L’Italia e la Minaccia Jihadista. Quale politica estera?” (Ispi 2015) and “La guerra al terrorismo della Russia” in “Rinascita di un Impero. La Russia di Vladimir Putin” (Proudhon 2015). Katerina Gioumpa is a graduate from the department of Political Science and International Relations at the University of Peloponnese. She succesfully completed a dissertation on the topic of “The Evaluation of the Crisis Management System of the European Union”. She has participated in many simulations of regional, European and International Institutions in Greece and abroad, while she has also participated in many conferences which cover a wide range of topics. Meanwhile, she is a member of a scientific research group that studies the Southeast Europe (SEER Unit) and her interests are mostly orientated in the International Relations and International Security. She has taken part in many voluntary programs in order to mobilize the society for the refugees’ rights. She speaks Greek, Albanian, English, and German and possesses a basic knowledge of French. 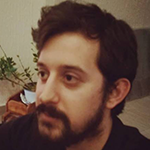 Petros studied “Political Science and Public Administration” at the Athens Faculty of Law. He holds two Master degrees in “European and International Studies” and in “Political Science and Sociology” from the above mentioned Faculty, and also a Master degree in “Political Studies” (by correspondence) from the American World University. He was an undergraduate and postgraduate scholar from the “State Scholarship Foundation” (IKY) and the Japanese Sasakawa Foundation. He has attended many workshops and seminars, and has been an external researcher at the “Foundation of the Hellenic World” (IME). Since February 2015, he is working as an Advisor for Nea Demokratia political party. Between July 2012 and January 2015 he worked as a Special Advisor at the Office of International Relations & EU of the General Secretariat of the Prime Minister and at the Ministry of Development. From 2004 till 2012 he worked as a Special Advisor for Nea Demokratia in International Relations & EU Secretariat. Jez obtained his MA in Southeast European Studies at the National and Kapodistrian University of Athens. His BA in European Studies was obtained at the University of Amsterdam, with a major in Eastern Europe. In addition, he spent one semester at the Bogazici University in Turkey, where his interest in the country and region further intensified. He holds both the Dutch and Italian nationalities and is proficient in Dutch, English, Italian and Spanish. 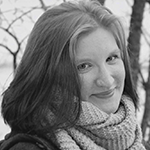 Jessica is currently pursuing her postgraduate studies the Sciences Po Paris School of International Affairs in International Security, specializing in Global Health and Research Methods. She also holds a Bachelor degree in International Relations from the University of Leeds. She has gained professional experience with various NGO’s and international organisations, and has worked on various research projects including the effects of war on soldiers, the psychological impacts of being a refugee, and the implications of Brexit. Her research interests include post conflict reconciliation, mental health and global health more generally, human rights and European affairs. Emmanouil Karakolios is currently a second lieutenant in the Greek army. He was born in Thessaloniki in 17 November 1993. He graduated from the 1st High School of Kalamaria in 2011. He was admitted in Aristotle university of Thessaloniki, in the Department of Law, Economics and International Relationships and completed his first year of studies successfully, while gaining admission in Hellenic Army Academy and chose to continue in Military Studies. He graduated in 2016 having excelled in every school of tactical war and strategy that he attended. He received Award of Excellence and Scholarship granted by the Greek Communication Organization. 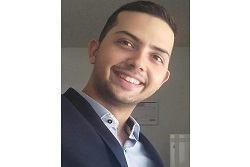 Currently he is a post graduate student at University of Nicosia in the Department of Internationals Relations and European studies. He speaks English and French fluently being awarded prizes from French Institute of Athens. He is a highly motivated and hardworking individual with great interest in areas such as green energy, environment and intercultural relations. His eventual career goal is to serve his country with pride, devotion and consistency, while achieving his personal goals. Karavias Zafeiris is a graduate of the Department of Political Science and International Relations of the University of Peloponnese. He also holds a postgraduate degree on Maritime studies and Maritime management, from the Department of Maritime Studies of the University of Piraeus. He also gained work experience from a maritime company and from his family business. In the past he was member of two research teams where the first was working on the field of the Balkan politics (Department of P.S.I.R ) and the second one on the management of the Greek Migration Crisis (which was directed from YALE university). His main research interests are on the fields of political science, international relations, strategic studies and history. Mrs. Maria Marinou Karga was born in Chios in 1994. Mrs. Karga graduated from the Department of Political Science and Public Administration of the National Kapodistrian University of Athens, where she focused on International and European Studies. She is a postgraduate student of the Program “Shipping, Transportation and International Trade” of the Department of Shipping and Business Services of the University of the Aegean, where she focuses on Maritime Law and Maritime Finance. 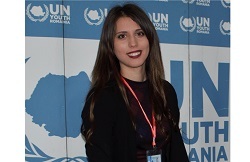 She did her six-month internship at the Ministry of Foreign Affairs, the UN and International Organizations and Conferences Directorate and at the Regional Unity of Chios of North Aegean Region. Mrs. Karga also held her internship as an Adviser at the Permanent Mission of Greece to the UN, in New York, from 15th of December 2016 to 15th of March 2017. She attended open UN Security Council meetings, meetings of human rights issues, workshops and meetings of the UN Economic and Social Council, in particular the Committee on Social Development and the Committee on Women’s Situation etc. Mrs. Karga worked as a Special Advisor to the Mayor of Chios, from July 2017 to March 2018. She has participated in a variety of National, European and International conferences, seminars and simulations of the United Nations in Greece, France, Italy, Kosovo and Russia. She received the third distinction at the 17th Hellenic Youth Parliament. Today she is a member of SAFIA and member of the Alumni Association of Political Science and Public Administration. She had write articles on the Power Politics website. She speaks Greek, English, French and she has basic knowledge of Turkish and Russian language. Born 1972 in Athens, Greece. He studied Political Science and International Relations at the American University in Cairo (Cairo, Egypt) and at the University of East Anglia (Norwich, UK). He is certified Geostrategic Risk Consultant (GsRc / III). He worked as political risk analyst in EU development programs, PHARE and TACIS, for Eastern Europe and Russia respectively. Since 2002, he works in the MENA region on energy and commodities sector. Academically, he has coined the term of geo-entrepreneurship to indicate the crucial role of the human and entrepreneurial capital into geostrategic thinking and patterns. He is author of a book on geo-entrepreneurship (The Geo-entrepreneurs’ Empire, ISBN 978-960-93-5438-7) and essay contributor in peer-review Foreign Affairs journal. He is lecturer on geo-strategy and regular commentator on current affairs in the international media. He was born in 1995 and he is originating from the city of Kavala. 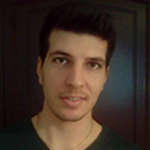 He is an undergraduate student at the Department of Political Sciences in Aristotle University at Thessaloniki. He has participated consistently in numerous university models of United Nations, UNESCO and Regional Organizations, in Greece, Romania and Turkey, and was awarded at several occasions for his appearance, while he has served at any possible position in them such as but not limited to Delegate, Board Member, Secretariat. He speaks English and French. He is the co-founder of «Dialogos» the Simulation of the Municipal Council of Kavala. 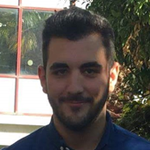 Meanwhile, in the year of 2016-2017, he has served as the Secretary in the Board of Directors of the Greek Association of Political and Economic Science Students (GRAPESS), while in 2017-2018 he successfully completed his internships in the Municipality of Kavala and the Permanent Representation of Greece to the OSCE (Organization for Security and Cooperation in Europe) in Vienna. Currently, he is attending his Internship in the Ministry of Foreign Affairs in Athens. His academic interests focus in the resolution of transnational conflicts and the aspect of International Security with special focus in the regions of Caucasus, Africa and the Baltic. Marianna is a graduate of the department of International European and Regional Studies at Panteion University. She has excellent knowledge of English and holds the basic knowledge of French. Last year she participated in the Erasmus + program at Romania’s Nicolae Titulescu University. She has attended several seminars on the subject of her studies and her research interests include international relations, foreign policy and strategy, Greek-Turkish relations, terrorism and human rights. 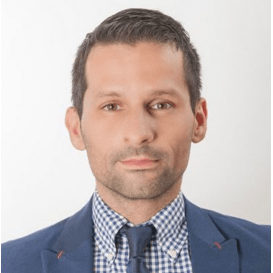 Vasilis is a Holder of a Master’s Degree in Southeast European Studies (University of Athens) and a Bachelor’s Degree on Balkan studies (Aristoteleio University of Thessaloniki). 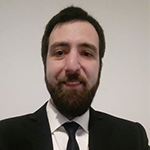 Currently, Vasilis is a PhD Candidate at the University of Thessaly in the Department of Economics. His PhD thesis amongst others evaluates the Impact the Directive 2009/81/EC of the European Parliament and of the Council has on the European Defence Industry. 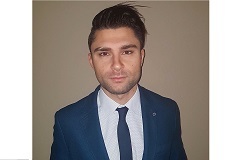 Vasilis is a tested professional, responsible today for the content and administering of the Epicos Portal (www.epicos.com), as well as the requirements specification (features and functionalities) of its future upgrade (currently on-going). Lagoudis Michail is a graduate of the Department of Philosophy, Education and Psychology of the School of Philosophy of the University of Ioannina. He also holds a postgraduate degree in “Education Sciences”, with a specialization in the field of History of Education. He has been a Scholar of the State Scholarship Foundation (IKY) for the academic year 2011 – 2012. He has also served as an auxiliary employee in the Department of Philosophy, Education and Psychology at the University of Ioannina, and as a librarian at the Central Library of the University of Ioannina. His main research interests are the History of Education, Citizenship, Cultural Diplomacy and Soft Power issues. Milena is a graduate from the Department of International and European studies of the University of Piraeus. She worked as an intern at the Permanent Mission of Greece to the United Nations in New York. She is fluent in English while she has basic knowledge of French and German. She has attended numerous seminars related to the field of her studies. Her research interests include International Relations, Intelligence and International Security, international organized crime as well as Middle East crises and African Union. Undergraduate student at the Law School of the Aristotle University of Thessaloniki. Graduate of the Pedagogical School of Ioannina university. Excellent knowledge of English and a basic knowledge of German. He has attended various seminars and scientific conferences on the subject of his studies. His research interests include International Relations, International Law and, in particular, geopolitical, energy and security issues. Lieutenant General Retired Konstantinos Loukopoulos was born in Chalkida in 1958 and graduated from the Military School of Evelpidon in 1981. He is a graduate of the National Defense School and has completed Strategic Security Studies at the George Marshal Center in Germany while attending a large number of Schools on Strategic Security and International Relations. 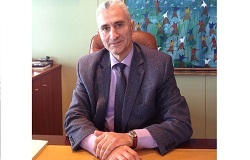 He has been a Spokeswoman of the Hellenic National Defense General Staff, Director of International Relations at the Ministry of Defense and served in many Administrative and Staff positions. He served as a Course Director and Professor at the NATO School in Oberammergau in Germany for three years, and for three years as the International Military Staff Coordinator at the NATO Headquarters in Brussels, chairing the corresponding Military Committee Working Group at the same time. He is the Coordinator of Defense and Diplomacy at liberal.gr. and apart from a member of KEDISA, a member of the Hellenic Institute of Strategic Studies. Christina is a graduated of the department of Political Science of the University of Crete. 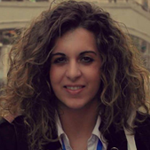 Currently she is postgraduate student in Political Science and International Relations with specialization in Global Risks and Analytics at the University of the Peloponnese. Furthermore, she holds degrees from Biopolitics International Organization (e- learning courses) with subjects “Climate Changes” & “Sustainable Development and Strengthening of the Role of Youth in Building a Green Society”. She was president of the Local Youth Council of the Municipality of Nafplio (TO.SYN.). Between July 2013 and January 2015 she worked at Hellenic Ministry of Culture and Sports (General Secretariat of Sports) as associate of former Deputy Minister. She has attended several seminars related to her studies. She speaks English and has knowledge of ECDL computers. Her research interests include issues of International Relations, Diplomacy and Threat Identification and Analysis. Menesian George is a graduate of the Department of International, European and Area Studies (Panteion University). He speaks Greek, English, French and Armenian. 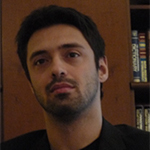 He is, also, a research associate at the Institute of International Relations in Athens. Specifically, he is a member of the Centre of Russia, Eurasia and Southeastern Europe and the Centre of Euro-Atlantic Studies. His academic and research interests focus in the area of Strategic Studies and the foreign policy with special focus in the regions of Middle East, Caucasus and the Balkans. Meanwhile, he publishes articles on various issues, including politics and international relations. 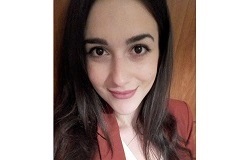 Myrto holds a Bachelor degree in Political Science at the Democritus University of Thrace.Currently she is postgraduate student in International Studies with specialization in European Studies and Diplomacy at the University of Macedonia. She held a practical training session at the Municipality of Mayor of Pella in the mayor’s press office. She has attended several seminars related to her subject and has participated in a regional council simulation. She knows speaks English and has knowledge of ECDL computers. She has been a member of E.O.NE.PE, JEF, YOUTH BUSINESS OF NETWORK and EOD. Her research interests include issues of International Relations, Diplomacy, Crisis Management and Strategy. Nina is a graduate of the Department of International and European Studies of the University of Piraeus. Nina was a member of BRICS research group of the University of Piraeus, and specifically she was a member of the research group about Russia. She had participated in various seminars and in Europa.S, a simulation of the European institutions in Greece. Her research interests include the issue of international security. She speaks 3 foreign languages: English, French, Russian and she has a basic knowledge of Arabic language. Piotr obtained his Master’s degree (M.A.) in Law from the University of Warsaw in Poland. Currently, he attends postgraduate studies on Translation and Interpreting at the University of Warsaw. During his legal studies he had a chance to take part in the Erasmus+ program in Athens and in Budapest, where he participated in numerous seminars and conferences. He gained his professional experience during his work in a private legal office, internships in public institutions and most recently in the Embassy of the Republic of Poland in Jakarta, where he had an opportunity to gather knowledge related to International Affairs. He speaks fluently English, Polish and to a lesser extent German. Eva is a graduate of the department of Mediterranean Studies of the University of the Aegean, following a course of International Relations. She has participated in several UN and Regional Organization models. She has attended a number of seminars regarding her object of studies. In addition, she has participated as a speaker at the Mare Nostrum conference. Native languages include English and Greek, as well as basic understanding of Arabic. Her research interests include terrorism, Greek-Turkish relations, Human Rights, Wider Middle East and North Africa. 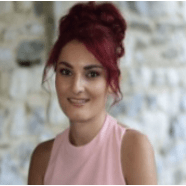 Dafni has completed her undergraduate studies in International and European Relations at the University of Macedonia in Thessaloniki and earlier in the Tourist Enterprises at the Alexandrio Technological Institute of Thessaloniki. She is currently pursuing her postgraduate studies in International Defense and Security at the Paris Institute of Political Sciences in Paris with specialization in American military studies and Secret Services. She has worked for years alongside with her studies in the field of professional and student orientation. She has taken part in numerous conferences, simulations of international organizations and educational trips in Thessaloniki, Athens and Paris. She has received a scholarship from her university in Paris and besides Greek, she speaks excellent English, Spanish, French and Arabic while she also writes for the Institute of International and European Affairs (DGT). Her research interests focus on North America, the Secret Services and the worldwide military operations, capabilities and developments of the countries and of international organizations such as NATO. 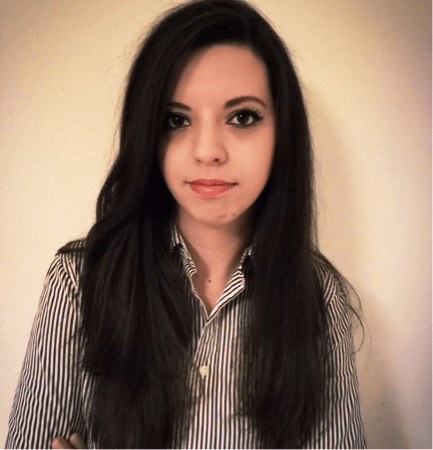 Angeliki is an undergraduate student of Mediterranean Studies at the University of Aegean, with expertise in International Relations and Organizations. She speaks fluently English, and she has basic knowledge of Arabic language. She has participated in several Models of United Nations, like BisMUN, ThessisMUN and RhodesMRC, and she has an honorary mention. She has attended various seminars, conferences on the area of her studies. 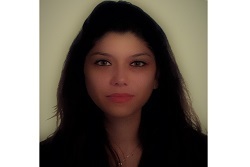 She is a charter member of the delegation of Hellenic Association of Young Political Scientists (HASPc) in Rhodes. Her academic interests are focused on human rights, both Broader and Middle East, North Africa, foreign policy and Greek-Turkish relations. George Zgardanas is currently a lieutenant of the Greek army. He was born in Athens on 9th December 1990. He graduated from the Hellenic Army Academy in 2012 and has completed all the foreseen courses and trainings regarding the tactical war and strategy. 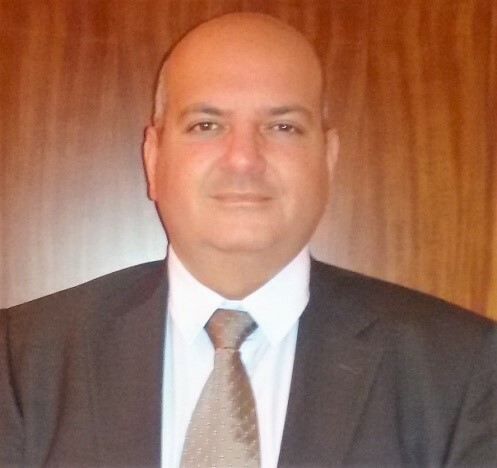 He holds the postgraduate degree in Applied Operational Research and Analysis of the Department of Production and Management Engineering of the Technical University of Crete and the Department of Military Sciences of the Hellenic Military Academy. He made a research for a protection system for the Armed Forces which has been published at the Hellenic Army General Staff and the Hellenic Institute of Strategic Studies. He has excellent knowledge of English and very good knowledge of French and Italian. He participated in various conferences and among others, he obtains certifications of the European Security and Defense College.